What kind of god would you be? Benevolent or vengeful? Play Pocket God™ and discover the answer within yourself. 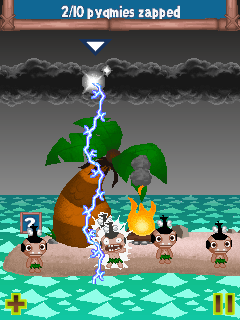 On a remote island, you are an all-powerful god, ruling over the simple natives. You can bring new life, and take it away just as quickly. Exercise your power by lifting your subjects in the air, altering gravity, striking them with lightning: you control their universe! 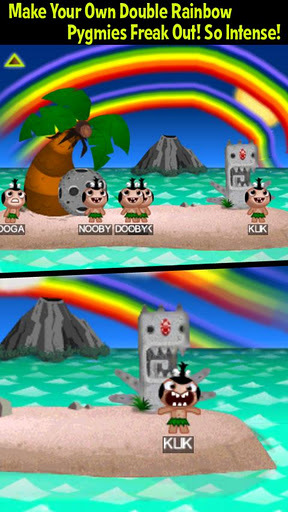 Pocket God is filled with hilarious interactive situations and mini-games where you can use your godly powers. Can you find them all? A mysterious stranger arrives on Oog Island and he seems a little addled. What makes this Pygmy so crazy? Well…he’s a total freaking rock star from Mars! This episode also features the Pimp Pack. 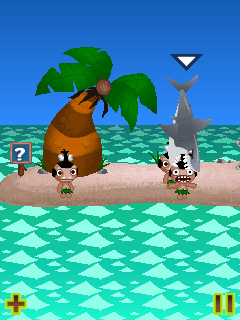 The first ever guest-Pygmy visits Oog Island. He’s a mysterious stranger who babbles about winning and does weird things like turn into a tiger and slice other Pygmies in half. Who is he? He’s a total freaking rock star from Mars, that’s who he is! Oh, and he calls himself Charlie. Also included is the “Pimp Pack” that allows you to pimp out your islands with a fly caddy, stacks of fitties and bling! Next episode: “Challenge of the Gods” – Coming Soon! Get Pocket God on your Verizon Brew phone today. 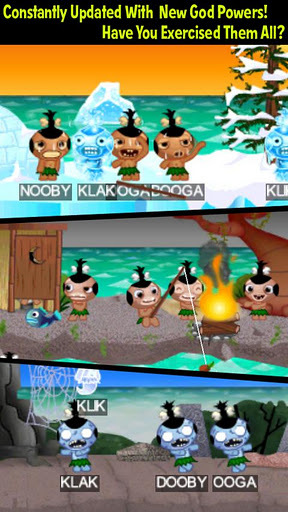 The final episode reveals the ultimate judgment to befall the Pygmies. An angry, showboating Pygmy named Tom holds the secret to unleashing an angry demon with a punishing agenda. 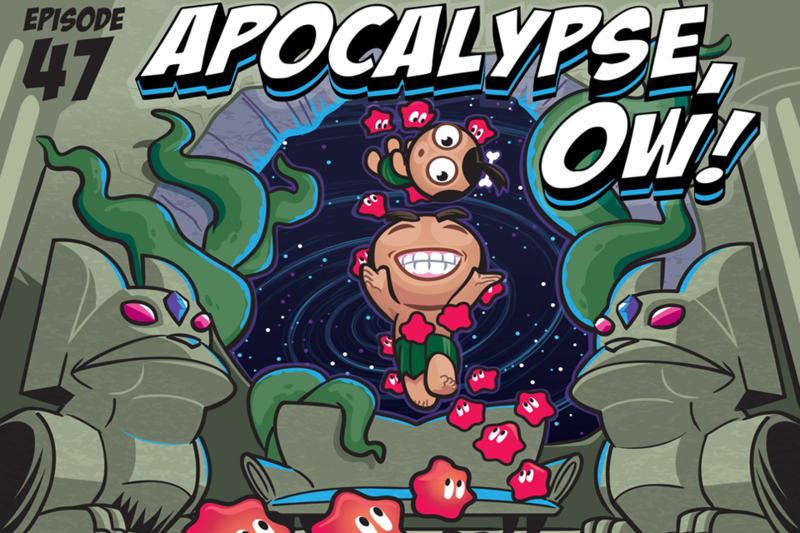 Only by solving the puzzle of the Apocalypse will you be able to bring sanity to the Pygmies’ world once again! 1. In the Dance Dance Execution chamber, drop a Pygmy into the right chute to deliver him to the Closet Room. Place a Pygmy on the special Thetan-creating machine, move the lever, and watch him explode into a veritable flurry of Thetans. Use the Thetans to release the new Pygmy, Tom. 2. Find the secret Altar within the temple, and “alter” another Pygmy just right to help bring forth Xenu, the angry god with an equally angry agenda! 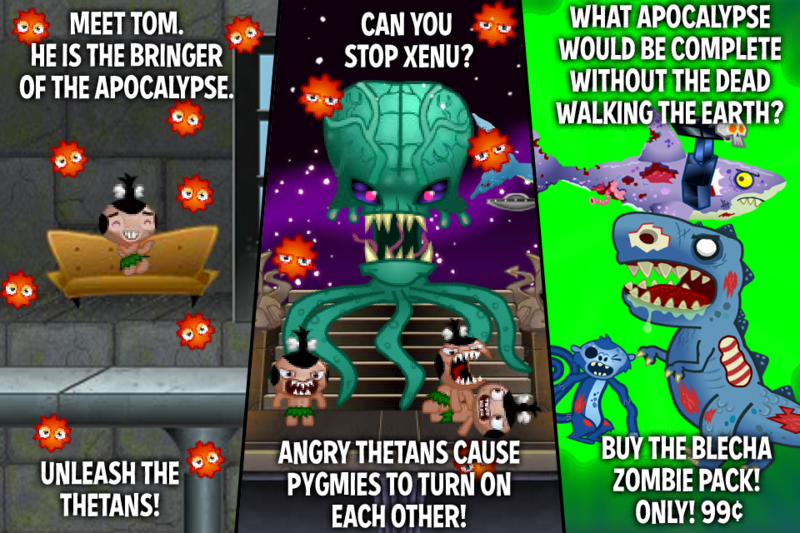 Xenu has an army of angry Thetans out to drive Pygmies into fits of rage! Place Charlie-created half-Pygmies on top of Xenu and watch him go to town! 3. To stop the madness and end the Apocalypse, accumulate all the gems within the Temple and place them where they belong outside the Temple. If you place them in the right order, the madness ends and a special guest arrives to congratulate you! 4. In addition, this update features Aaron Blecha’s new “Zombie Skinpack”. Change everything around into a zombified version of itself, including the Dodo, the Spider, the Locust Queen… even the Ice Monster! Only 99 cents! AMA gives you the power by launching the J2ME version of Pocket God, developed by Bolt Creative and already a huge hit on iPhone. 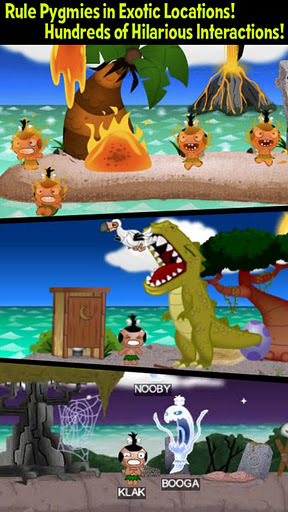 In Pocket God’s cartoon universe, you are the omnipotent deity, and you get to decide the fate of a tribe of savages living on a desert island. 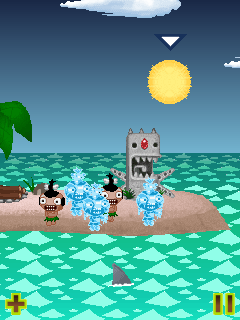 In an offbeat humour universe, unlock new powers during the game allowing you to, among other things, feed your Pygmies to the sharks, play with the weather and electrocute them, set off volcanoes eruptions, and teach your Pygmies to swim by throwing them into the sea. 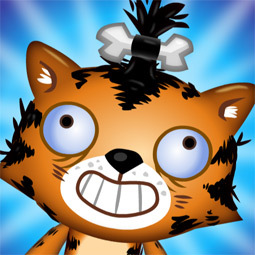 As well as developing your knowledge by performing hilarious tasks, Pocket God offers a variety of secondary quests and mini-games, all of which to test your tribe endlessly. For example, hatch ten dinosaurs on the island to wage a campaign of terror against your Pygmies. Two choices are then available to you: either you raise your tribe from the dead to feed the T-Rex, or arm them with lances to defend themselves and launch a quick-fire mini-game. 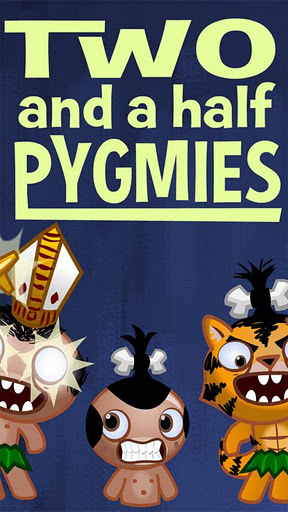 What fate will you inflict on your Pygmies?